DURHAM (WTVD) -- A Durham man admitted from jail to ABC11 that he stole a package containing an insulin pump outside his neighbor's home. Christopher Hargrove, arrested by Durham police Sunday night, accepted our request an interview. He spoke exclusively with ABC11's Tim Pulliam, saying stealing the pump was an accident. Pulliam: "How did you accidentally take a package? Hargrove: "How I accidentally take a package? Let me explain. I was walking and don't have no money. Nowhere to go. I see something bulging out and just took what was bulging out. Didn't know what it was or nothing." Christopher Hargrove says he didn't realize he took a neighbor's package Wednesday evening containing their 5-year-old's diabetic insulin pump-until Durham Police tracked him down-over the weekend and told him what was in his possession. The family's security camera captured the crime. Hargrove says he needed money to buy his son a Christmas gift. Pulliam: "Some people would say, ok, you were desperate and needed some money for Christmas, but why steal from somebody else?" Hargrove: "Right now I'm down. I can't find a job." Monday, Hargrove appeared before a judge. He's charged with felony larceny and possession of drugs and cocaine. Pulliam: "Do you have a drug problem?" Hargrove: "I got a small problem. But that was all stuff inside the house that they just went through my house and started taking anything." The magistrate judge stopped short of calling Hargrove's actions shameful-stating the suspect gives the grinch a bad name. Pulliam: "Is there anything you want to say to the family or the little boy?" Hargrove: "I hope the child gets what he needs. Because I to have diabetes. I to have diabetes too." The insulin pump was returned to the boy over the weekend. The child is doing fine. The family say they hope Hargrove gets the help he needs. Hargrove is in jail under a $20,000 bond. He will appear again in court on January 9. 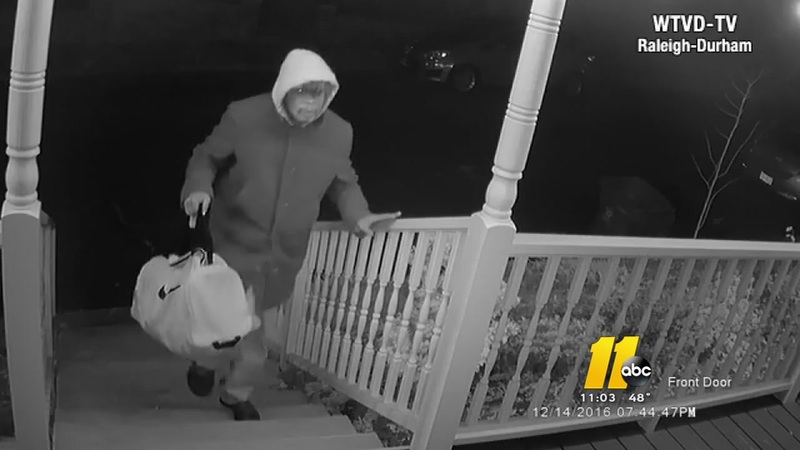 Durham police announced Sunday night that they have made an arrest after a thief stole a child's insulin pump off a Durham family's front porch.